Kibo is the newest member of Casa Del Rey Borzoi. 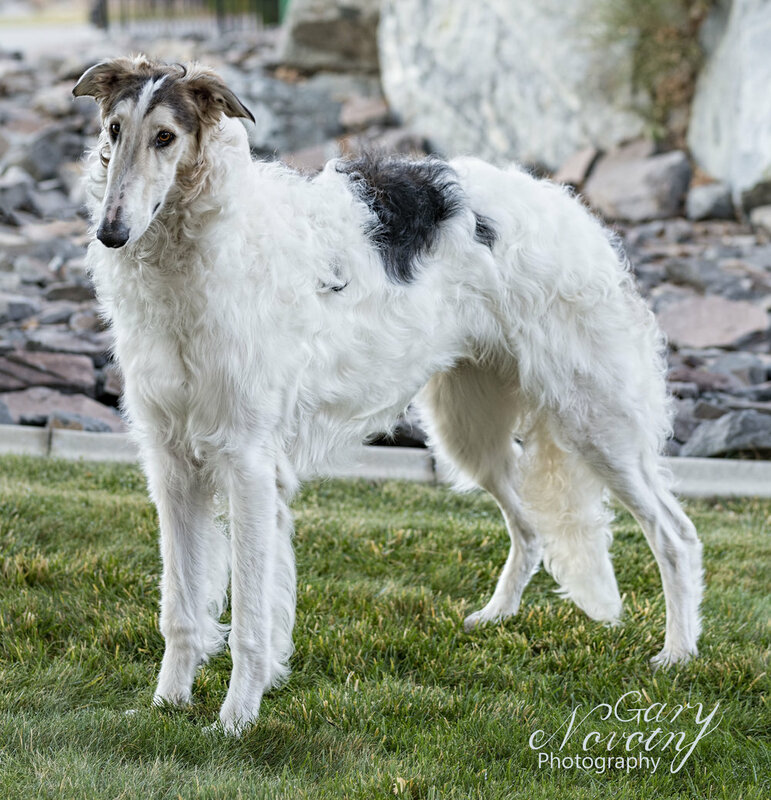 He arrived here in June, 2018 from Marina Cornaglia's borzoi kennel, Tantezampe, in Italy. We are very excited about this handsome boy! At seven months of age, Kibo goes to the Gold Country shows 9/1 and 9/2 and comes home with another point, WD & BW both days, BOS and OH group 4 on Saturday, BOB, OH group 3 and regular GROUP 4 on Sunday! At 8 1/2 months, Kibo is awarded Best in Sweepstakes and Best Puppy in Specialty at the BCNC Specialty. He acquired his first major with a WD, BW, BOBOH for four points the day before the Specialty. KIBO finishes his AM CH on January 5, 2019 with a second 4 point major WD/BW at the Palm Springs show. The day before, Kibo was Best in Sweepstakes, and Sweepstakes group 2 at the Inland Empire Hound Club show at 11 months of age (pictured).